It comes as no surprise that Texas will have a long, hot summer. But, for residents of a state that ranks 17th in most recent reviews of electricity rates by state, what could be surprising is that electricity supply rates are expected to spike big-time this summer. The reason, according to the Houston Chronicle, is the recent closure of three large coal-fired electricity plants paired with delays in construction of some natural gas and wind projects. Combined, those factors reduce power reserves in Texas to their lowest levels in more than a decade. This means that when power usage is at its peak during the hot summer stretches, electricity will cost more. At this point, the experts aren’t sure when or how much electricity supply prices will rise – only that they will. What does this mean for Texas residential consumers? Much of Texas is deregulated, and residential customers in those areas who have fixed-rate plans wouldn’t face spikes until the end of their existing electricity-supply contracts with their respective retail electric providers. If the plan extends through the summer, they may not be affected at all. Remember, early termination fees apply to those who break fixed-rate plans. However, customers with variable- or indexed-rate plans could see hikes once the supply starts eating into the reserve capacity. 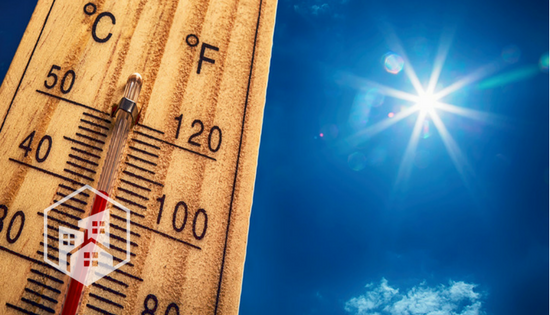 On March 1, the Electric Reliability Council of Texas, which operates about 90 percent of the state’s power grid, plans to update its forecast for electricity demand for the summer and speak to concerns about price and supply. What can Texans do about the price spike? In short, be proactive. That’s particularly true for variable- and indexed-rate plan customers, whose supply rate is tied to the spot price of electricity, meaning it is tied to market fluctuations. These customers can take advantage of SaveOnEnergy.com fixed-rate plans now and lock in lower rates at least through summer, if not longer. 2015: June, 9.5 cents per kilowatt hour (kWh); July, 8.8 cents/kWh; and August, 8.5 cents/kWh. 2016: June, 9.1 cents/kWh; July, 9.4 cents/kWh; and August, 11.1 cents/kWh. 2017: June, 9.5 cents/kWh; July, 9.2 cents/kWh; and August, 7.6 cents/kWh. What’s available today (Feb. 21)? Let’s study the state’s two largest deregulated cities. In Houston, SaveOnEnergy.com featured suppliers offer fixed-rate plans starting at 6.8 cents per kilowatt hour (kWh) for a 12-month term. Shorter and longer terms are available. In Dallas, there’s a 12-month plan at 6.3 cents/kWh and 36- and 24-month plans that start at 6.8 cents/kWh. Great rates also are available in smaller Texas cities. Grapevine, for example, also has a 12-month plan at 6.3 cents/kWh. It should be noted that some plan pricing is tied to usage. Before signing up for any plan, carefully consider its Electricity Facts Label, Terms of Service, and other documents. The key is to act before prices spike. Click here to go to our Texas page, enter your ZIP code, find the plan that’s right for you, lock in your pricing, and keep cool, calm, and collected this summer while others are steaming over high electricity bills. Curious which retail providers are the best in Texas?